Example: One is cold and desires to wear a few pairs of wool Tallis Katan to keep him warm, or one is traveling and desires to wear a few pairs of Tzitzis to prevent overweight luggage. Although there is certainly no prohibition involved in wearing more than one Tallis simultaneously, the question arises as to how many blessings are to be recited. Regarding wearing the Tallis Katan prior to wearing a Tallis Gadol-see Halacha B! Another related scenario is regarding switching Talleisim; if one is switching his pair of Tallis Katan should a new blessing be made on the new Tallis? 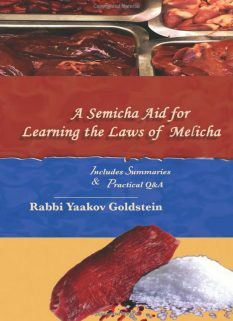 If one desires to wear many four cornered garments that contain Tzitzis at the same time, one after the other, then a single blessing suffices to cover all the garments, if the following conditions are fulfilled: 1) If one wears the garments without making a Halachicly defined interruption in-between and 2) one initially had intention at the time of saying the blessing to wear these garments immediately after [the blessings], then one recites only one blessing on behalf of all the garments. This applies even if one removed the first garment prior to putting on the second garment. If one spoke in between: If however one spoke [even one word], or made a different interval, in-between the blessing and the wearing the second garment, then a new blessing must be recited prior to wearing the second garment. This however only applies if one spoke of matters that are not relevant to the wearing of these garments. If however one spoke of matters that pertain to the wearing, such as he said “Pass me the garment” then it is not considered an interruption, and a new blessing is not required. Switched areas in-between: One who said a blessing with intent to wear more than one Tallis, and switched areas in-between, prior to wearing the second Tallis, then if he went from inside the house to outside the door of the house, he must repeat the blessing over the second Tallis, even if he did not speak at all in-between. [The same applies vice-versa, if he was outside the house and he went from outside to inside.] If however he did not leave from inside to outside the house in-between, and simply went to a different room within the same house, then the blessing is not required to be repeated, so long as [he had in mind to wear both garments and to switch rooms and] he did not speak in-between or make another form of invalidating interval. He had in mind to place on the second Tallis during the original blessing, or prior to finishing to wear the original garment included in the blessing. He did not go from outside to inside or vice versa. He did not switch rooms, or did switch rooms but had this mind originally at the time of the blessing. Is one to recite a blessing upon changing his Tallis Katan Erev Shabbos, or upon changing to a different pair? Yes. A blessing must be recited upon wearing a new Tallis Katan on Erev Shabbos, or upon changing one’s Tallis Katan later on in the day, as an interval has taken place since the time of the blessing. Hence, even if one knew at the time of the original blessing that was said in the morning that he would switch his Tallis Katan later on in the day, he must repeat the blessing. This applies even for married men that do not say a blessing when wearing Tallis Katan prior to Davening. B. Putting on a Tallis Katan and Tallis Gadol one after the other-Is one to say a blessing over a Tallis Katan worn prior to Davening if he will be wearing a Tallis Gadol for Shacharis? The letter of the law: If one will be wearing Tallis Gadol immediately after wearing a Tallis Katan, a blessing may not to be said on the Tallis Katan, and it is rather to be included in the blessing of the Tallis Gadol. If much time will pass until one wears the Tallis Gadol [or one will switch areas] then a blessing may be said upon wearing the Tallis Katan. Having in mind one time for one’s entire life: In order to have the blessing of the Tallis Katan be included in the blessing of the Tallis Gadol it suffices to state even one time that whenever one says the blessing over the Tallis Gadol he has in mind to include the blessing of the Tallis Katan. If one said a blessing on the Tallis Katan prior to wearing the Tallis Gadol, is a blessing to be said on the Tallis Gadol? In the event that one went ahead and said a blessing on the Tallis Katan prior to wearing a Tallis Gadol, he is nevertheless to recite the blessing of Lehisatef on the Tallis Gadol. This applies even if one wears the Tallis Gadol in close proximity to the blessing said on the Tallis Katan. 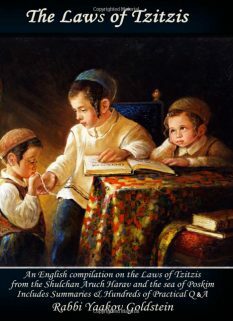 If however one had in mind to include the Tallis Gadol in the blessing of Al Mitzvas Tzitzis, then a blessing may not be repeated unless a Halachicly defined interval was made. Does this apply even if one said an unnecessary Mitzvah related statement? See 432/6 that this applies even if the related statements did not have to be made at this time. Vetzaruch Iyun as to how much of a delay is considered not to be immediately. The reason: Although he did not have them in mind at the time of the blessing, nevertheless since he has not yet completed the wearing of the original garments included in the blessing, it is thus similar to one who has not yet completed his meal and was then brought more food, in which case he is not required to repeat the blessing. 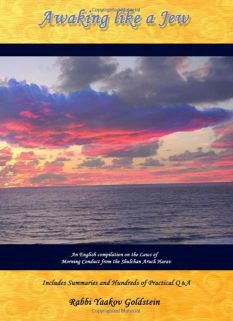 [ibid] Thus, the above requirement to have original intention only applies in a case that one already finished wearing all the garments which he had in mind to include within the blessing. The law if one can see original area: Regarding Birchas Hanehnin [178/1; Seder 9/11] and Kiddush [273/2] Admur rules that if one sees the original area from his new area, then it is not considered an interval. Seemingly, the same law applies regarding Birchas Hamitzvos, that if one can see the original area it is not considered an interval. Vetzaruch Iyun, as no mention of this has been made either here in 8/22 or in 432/8 regarding Bedikas Chameitz. Having in mind to switch rooms at time of blessing: Seemingly it is required for him to also have in mind to switch rooms at the time of the original blessing. 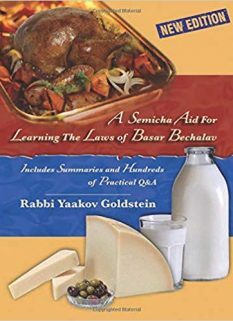 See 178/1; Seder 9/11 [regarding Birchas Hanehnin]; 273/2 [regarding Kiddush] that one must have in mind at the time of the original blessing, otherwise it is considered a Hefsek. On the other hand, no mention of this is made in 8/22 or 432/8. One can however assume that in both Halachas it refers to a case that one had in mind, as in 8/22 he knew the Tallis was in another room, and in 432/8 he knew he must check the entire house. Vetzaruch Iyun! Other rulings of Admur in Shulchan Aruch and Siddur: In other areas of Admur it is implied that switching rooms is considered an interval. See Admur 273/2 in parentheses regarding Kiddush; Admur in 432/7 mentions “After one has begun the search, the going from room to room and from house to house to check for Chametz is not considered an interval to require one to repeat the blessing”; Siddur Admur writes that “… and they should be careful to first check [the room that they are in or] the room near the room in which they heard the blessing and not go right away and check another room” thus implying even going from room to room constitutes a Hefsek. Perhaps the explanation of the above difference in ruling could be the following: There are two opinions in the Rishonim with regards to if changing rooms constitutes an interval. The Ran is of the opinion that it is always considered an interval, even if the person had intention to switch rooms. While the Tosafos and Rav Nissim Gaon holds that if the rooms are in the same house and one had in mind to do the switch, then it is not considered to be an interval. Thus, we see that in the Shulchan Aruch Admur rules like the latter opinion, while in the Siddur he rules like the former. [Miluim of Rav Raskin in back of Siddur] To note however that neither the Shaar Hakolel in his pirush on the rulings of the Siddur, nor the Ketzos Hashulchan in Piskeiy Hassidur, mention any change in ruling between the Siddur and Shulchan Aruch in this matter. This is despite that the entire purpose of their Sefer is to bring the places that Admur rules differently in the Siddur versus the Shulchan Aruch. 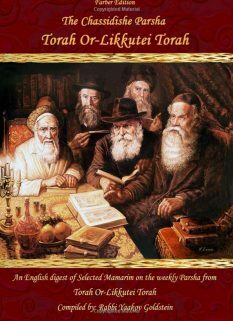 Furthermore, the Rebbe in his commentary on the Haggadah of Admur does not make any issue of the ruling in the Siddur, and actually writes that the reason for why one needs to check in the nearby rooms is because one may not go from house to house as Admur writes in Shulchan Aruch. Thus, the Rebbe implies that he learns that the ruling in the Siddur is not at all contradicting what was said in the Shulchan Aruch. 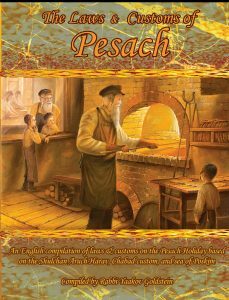 Chesed Lealafim 8/10; Ben Ish Chaiy Bereishis 10; Toras Chaim Sofer 8/23; Kaf Hachaim 8/55; Yabia Omer 3/17 and 8/2; See Piskeiy Teshuvos 8/25; It goes without saying that that this ruling certainly applies according to Admur, as even if one had in mind to wear the Tallis later on, Admur requires a repeated blessing if he switched areas or talked in-between. The novelty here is that even according to the Taz ibid and other Poskim that rule changing areas and talking is not an interval, in this case agree that another blessing must be repeated, and thus even the Kaf Hachaim who was the most strict in all the above cases, due to Safek Brachos Lihakel, in this case requires a blessing to be repeated. M”B 8/24 and 30; See also Admur 18/20 regarding one who wore a Tallis in an area that a blessing cannot be said and plans to wear another Tallis immediately afterwards, that he is to include the blessing of the first Tallis within the blessing of the 2nd Tallis; See also Siddur Admur [letter 26 in Raskin] regarding one who will be wearing a Tallis Gadol for Shacharis that he should not say a blessing on the Tallis Katan if he wears it in an unclean area. The reason: The reason for this is in order so one not make an unnecessary blessing, being that one can include it within the later blessing said over the Tallis Gadol. [M”B ibid in name of Chayeh Adam] This applies even though the blessing of a Tallis Katan is different than that of a Tallis Gadol. We push off the first blessing, which is on the Tallis Katan, rather than have the blessing of the Tallis Gadol be included within the blessing of the Tallis Katan, because: 1) We do not say the blessing of Lehisatef over a Tallis Katan and Lehisatef is the main blessing over Tzitzis, it is therefore better to push off the blessing of the Tallis Katan and have it be included within the blessing of the Tallis Gadol. Or 2) Since one generally places his Tallis Gadol on in Shul, therefore he cannot have its blessing included within the blessing of the Tallis Katan, as it is an interval to go from ones house to the outside. Thus, in order to prevent saying two blessings we push off the blessing over the Tallis Katan. Michaber 8/13; Admur 8/22; Kaf Hachaim 8/50; Thus if one places his Tallis Katan on at home and places his Tallis Gadol on in shul, then he says two blessings, one on the Tallis Katan and a second on the Tallis Gadol. 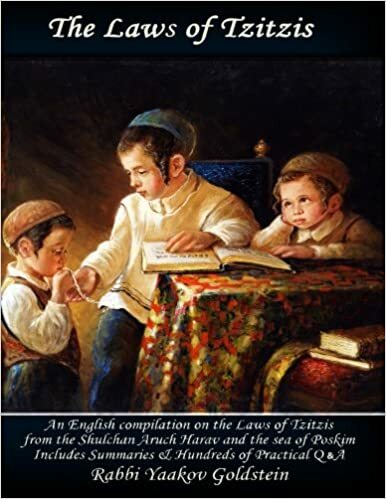 Other customs: Some communities are accustomed to follow the letter of the law and always recite a blessing over a Tallis Katan even prior to wearing a Tallis Gadol. [Siddur Tzelusa Deavraham, that so was custom of the Tchechonuv; Mishmeres Shalom 3/1; Tzadikim in Piskeiy Teshuvos 8 footnote 153] The Kaf Hachaim 8/50 rules that in order to avoid all doubt one is to wear a Tallis Katan in the morning with a blessing and have in mind to not exempt the Tallis Gadol, and the say a blessing on the Tallis Gadol when he arrives to Shul. Ruling of Admur in Shulchan Aruch: In 8/20 Admur rules that a blessing is not to be said on the first Tallis which was worn in an unclean area, only if one will immediately afterwards wear a second Tallis. No mention is made regarding any difference between a Tallis Katan and Gadol in this matter.